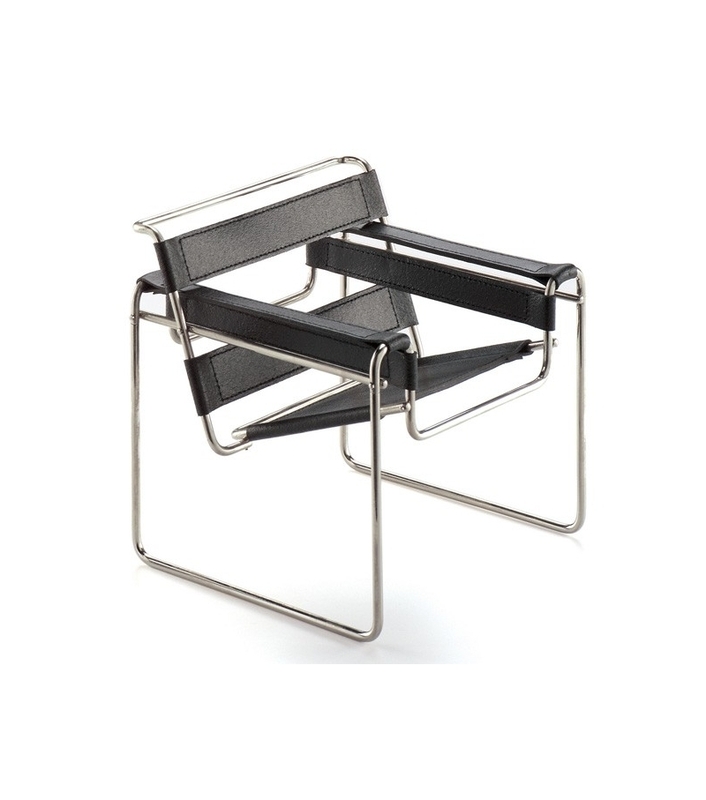 Vitra Miniature B3 Wassily, Breuer: Marcel Breuer was one of the most important designers of the early modern age. His biography is closely linked to the history of the Bauhaus, founded by Walter Gropius in 1919. The club chair B3, known today as "Wassily" was also created in connection with this renowned institution. 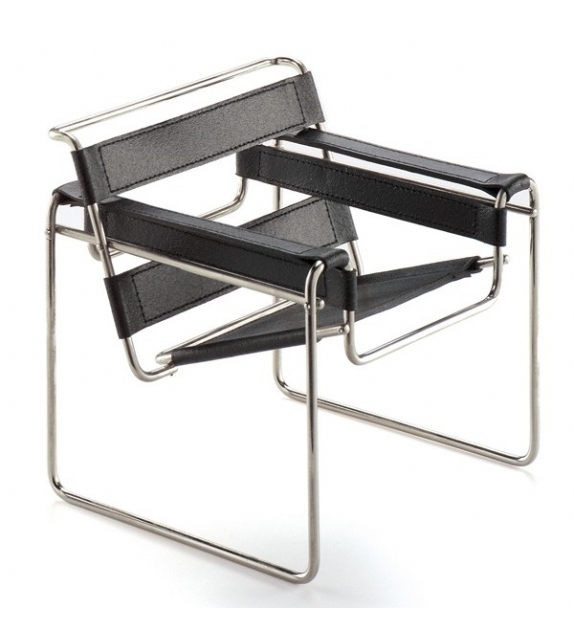 Vitra Miniature B3 Wassily, Breuer: Marcel Breuer was one of the most important designers of the early modern age. His biography is closely linked to the history of the Bauhaus, founded by Walter Gropius in 1919. 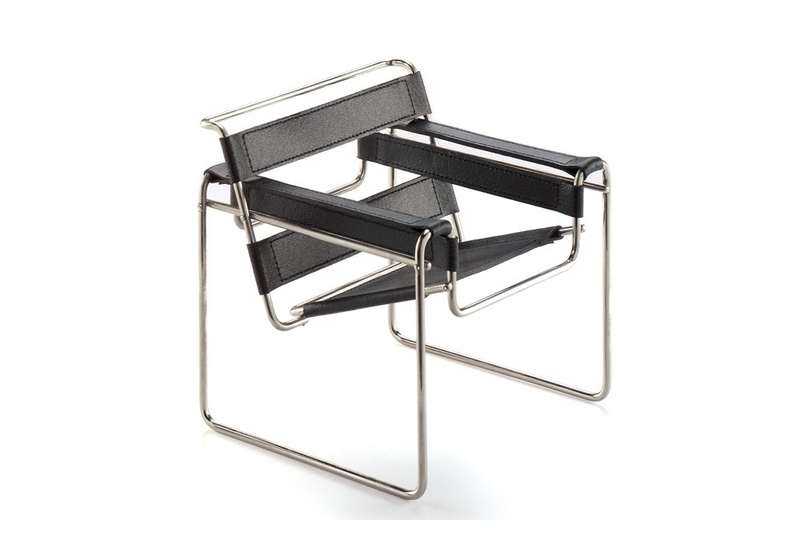 The club chair B3, known today as "Wassily" was also created in connection with this renowned institution. lt is the first piece of seating furniture in the history of design to be made from seamless, precision-drawn tubularsteel. lts transparency and visible structure are expressions of the stringent aesthetic approach that prevailed in architecture and design following World War I. Marcel Breuer replaced the massive upholstered corpus of the traditional club chair with a skeletonlike construction made out of bent steeltubing, thereby overcoming the physical weightiness of conventional seating. He exploited the elasticity of the material, complementing it with tautly stretched fabric strips of reinforced canvas for the seat and back. The B3 did not acquire the name "Wassily" until the beginning of the sixties, when the Italian furniture producer Dino Gavina purchased the manufacturing rights: Marcel Breuer had designed the armchair for the house of the painter Wassily Kandinsky, who taught at the Bauhaus from 1922 until 1933. Nickel-plated tubular steel, black leather.